CEO Marten Roorda has sent an open letter to the leaders of the House Ways and Means Committee expressing ACT’s concerns regarding the Tax Cuts and Job Act (H.R. 1) and its potential impact on young people and adults seeking to benefit from higher education. As the Committee works on tax reform legislation, I am writing to share ACT’s concerns regarding certain changes being proposed to raise revenue for corporate and personal tax relief. These proposals may not only produce less revenue than is currently projected, but they may also rob the nation of future talent by erecting additional barriers to higher education for promising students, especially those who require financial assistance the most. Our concerns are primarily directed at provisions in the Tax Cuts and Jobs Act (H.R. 1) that would discourage participation in postsecondary education, make college more expensive for those who do enroll, and fund the proposed tax relief measures on the backs of students who are already enormously weighed down by debt. Eliminating the Hope Scholarship Tax Credit and the Lifetime Learning Tax Credit under the proposal causes particular harm to nontraditional, graduate, and low-income student populations. The proposed consolidation of these tax credits would place a college education out of reach for far too many of these students, and deny the valuable opportunity to upgrade skills and continue education for adult learners. Similarly, eliminating tax-exempt employer-provided tuition assistance creates a perverse disincentive for students to pursue further education in emerging sectors of our economy at a time when employers are facing significant shortages of skilled workers. Tax changes that further limit educational opportunities, make higher education more expensive, eliminate incentives for lifetime learning, and shift the cost burden of these proposals on the shoulders of students are simply not in America’s long-term national interest. 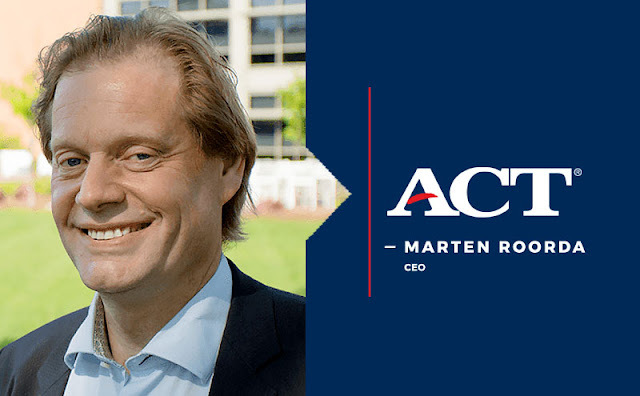 ACT’s mission is to help individuals achieve education and workplace success. We can help prepare individuals to be college-and-career ready, we can help them access postsecondary education that opens opportunity, and we can measure the economic impact of educational attainment. Yet, none of this is possible if we shut the doors of opportunity on learners who need help the most. Making higher education more accessible and affordable takes a societal commitment from government, business, and community leaders; from schools, teachers, and parents. The federal government should not turn away from the few incentives for families and students that make postsecondary education affordable. It would result in a less skilled and less educated population. These policy changes, though appealing in the short run, can easily result in an unintended economic drag on America’s future prosperity. I urge you to reconsider tax changes that most affect the access to and affordability of higher education, especially for low-income students.